Category: Android, Apps, iPad, iPhone. 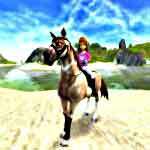 Tags: Feed your horse, Horse competitions, Horse farm, Horse jumping, Horse racing, Internet, Riding, Show jumping, Take care of horses, Tournament, Train horse, Unicorn. 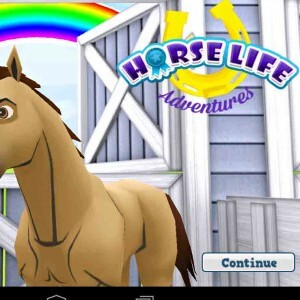 If you always dreamed about having a ranch where you could run freely and do all the tasks necessary to manage it, in this game you’ll have your opportunity. 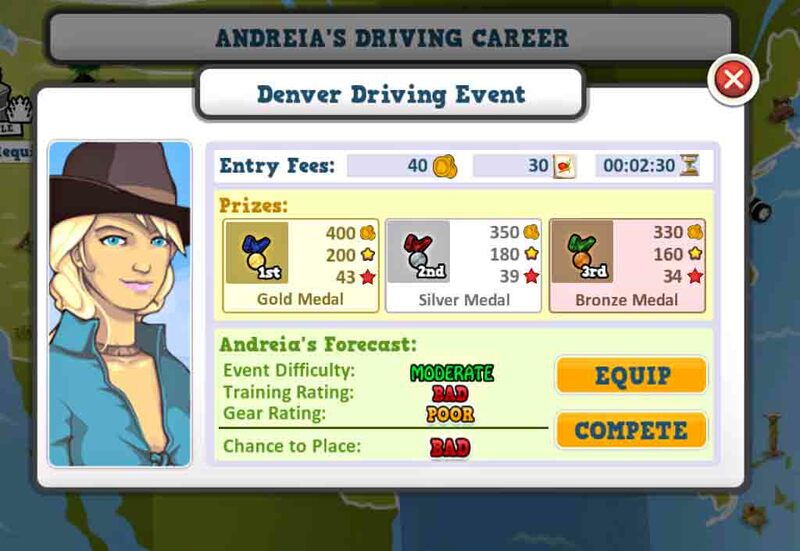 With the help of some other characters, you can train your horses to compete in events and earn prizes that will help your ranch to grow. You’ll start with one horse – Misty - that you’ll need to train in order to win some competitions and have money to build more stables. 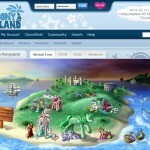 Then you can choose and buy another horse from the hundreds available (sometimes even unicorns!). The more horses you have more facilities you can build and more money you can earn. To help you in your mission, in the beginning the game gives you two stables (where your horse can rest), a small house, a carrot patch that grows food for your animals and a toolshed where from time to time you collect bricks that are very useful for expanding your ranch. After training your horse a couple of times, take it to compete in an event in Phoenix. 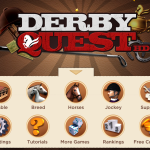 Before the competition, equip your horse with a tail guard and a mask and see what your odds are, based in the event difficulty, training rating and gear rating. For a higher chance to win, it’s important to have a well-trained horse with a great gear. When you get back to the ranch, give your horse a well-deserved rest in the stables and then give it some grooming. You can feed it with the carrots you pick in you farm, brush and wash it, and give it some love. 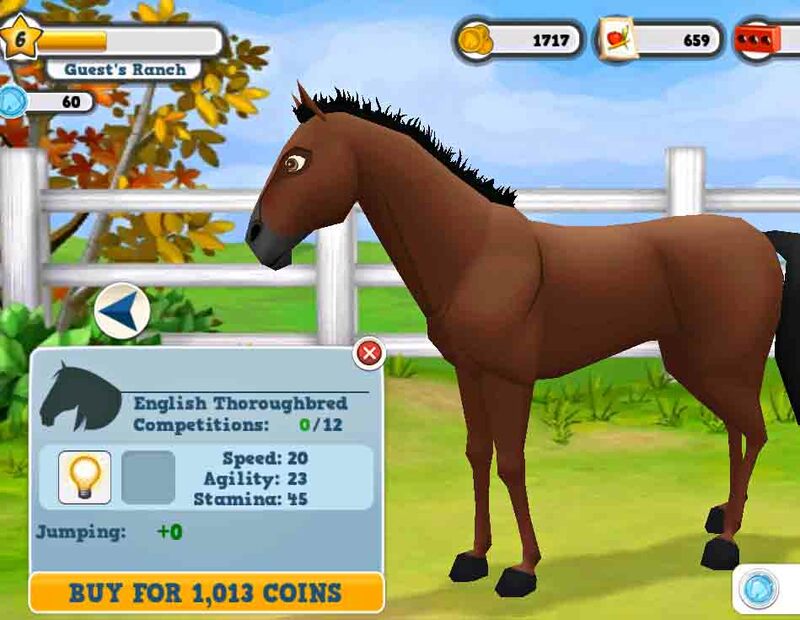 After winning some money with the competitions, you can buy more horses, earn more blue ribbons and have a first-class ranch full of useful buildings and decorations. Unfortunately your interaction with your horse isn’t many. You just need to click in the training facilities and leave them there for a couple of minutes and they’re done. In the tournaments, you just put some gear on your horse and then you see your classification. 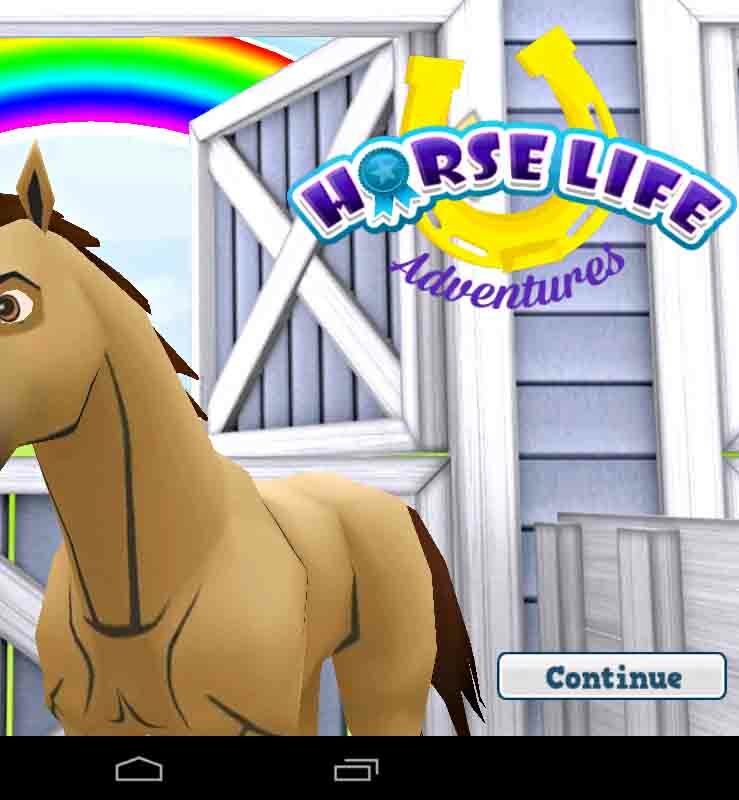 I wish it had a little more interaction - after all it’s a horse game. But the good side is that when you are grooming the horse, you can touch it with your finger and the horse reacts to your touch, which is really cute. And the graphics are adorable, they look kind of cartoonish and are really colorful, I really loved them. When you and your horse accomplish something, you also can share it on Facebook with your friends. This way everyone can know what kind of champion you are. But be careful not to click the constant (and annoying) publicity ads that will guide to other products. 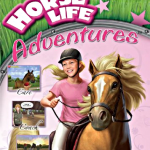 Despite the little interaction with the horse, you will have a lot of fun with this game. It is simply, easy and great to have a good time. You’ll have the opportunity to run your own ranch and watch your horses being the next champions in driving, jumping and racing competitions. Sad it’s gone… But it was a great game and a lot of fun. I love this game! Unfortunately, it keeps crashing RIGHT after I load it! 🙁 I really hope they fix that really soon!